Crystals Catalog : Beautifull 5 Embroidery Designer Salwar Suit By Fepic Rosemeen.Latest Wholesale Salwar Suit Fepic Rosemeen Crystals Full And Single Suit Catalog By Fepic Rosemeen At Wholesale Price Surat. Carvings Catalog : Beautifull 4 Embroidery Designer Salwar Suit By Fepic Rosemeen.Latest Wholesale Salwar Suit Fepic Rosemeen Carvings Full And Single Suit Catalog By Fepic Rosemeen At Wholesale Price Surat. Sonaber Catalog : Beautifull 5 Embroidery Designer Salwar Suit By Fepic Rosemeen.Latest Wholesale Salwar Suit Fepic Rosemeen Sonaber Full And Single Suit Catalog By Fepic Rosemeen At Wholesale Price Surat. Sonaber 43 Catalog : Beautifull 5 Embroidery Designer Salwar Suit By Fepic Rosemeen .Latest Wholesale Salwar Suit Fepic Rosemeen Sonaber 43 Full And Single Suit Catalog By Fepic Rosemeen At Wholesale Price Surat. 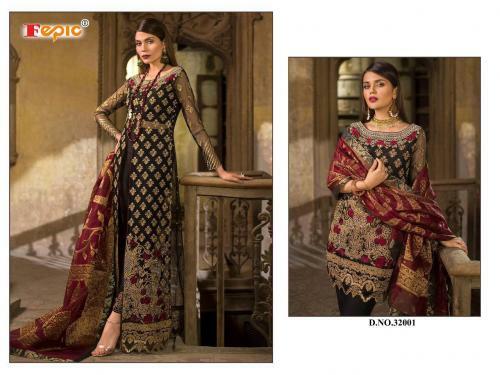 Rosemeen ZC Catalog : Beautiful 4 Embroidery Designer Salwar Suit By Fepic . Latest Wholesale Salwar Suit Fepic Rosemeen ZC Full And Single Suit Catalog By Fepic At Wholesale Price Surat. Needle Art Catalog : Beautiful 4 Embroidery Designer Salwar Suit By Fepic Rosemeen . Latest Wholesale Salwar Suit Fepic Rosemeen Needle Art Full And Single Suit Catalog By Fepic Rosemeen At Wholesale Price Surat.